"To fully understand the nature of creation: the reasons why the ego functions as it does, why created entities feel the urges they feel, it must be understood that the NATURE and QUALITY of UNIVERSAL CONSCIOUSNESS is RADIANT JOY - FULFILLMENT - HAPPINESS. THIS IS WHAT I TERMED THE 'KINGDOM OF HEAVEN WITHIN YOU' - WITHIN YOUR SOUL - WITHIN THE DEEPEST RECESSES OF YOUR PSYCHE, which is the intermediary between the radiance of your soul and the shadow self of ego. To return to this transcendent state of glorious, beautiful, happy, harmonious being is your soul's deepest longing! It is this enduring longing, this inborn unconscious recollection of equilibrium and peace, joy and harmony, which, through the psyche, prompts the EGO to manipulate the environment on your behalf. Its consistent purpose is to bring you back to your primal original state of glorious ecstasy out of which you drew your soul, being and form. "The chemistry of thesoul of all idea is registered in the master tones, known as the inert gases. 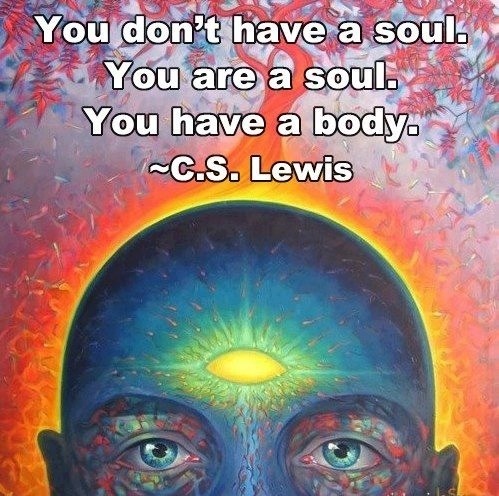 "The soul is the matrix of the body just as the master tones are the matrices of the elements. 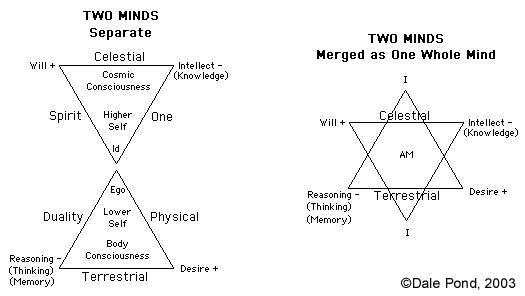 (Q) Explain the law of the line of demarcation between soul and spirit. (Q) "Explain what the divide between the soul and spiritual forces is? How manifest, and how we may study self to gain the approach to that divide." "... the Cayce source was struggling against all kinds of dualism, all efforts to make the split between matter and spirit, between God and creation, between reason and revelation, into cosmic splits rather than conveniences of thought. The Swiss psychologist Carl Jung has suggested that most dualisms are rooted in an unhealthy separation of spheres of the psyche, of consciousness and the unconscious, of Ego from a deeper Self." Harmon H. Bro, "Edgar Cayce on Religion and Psychic Experience", p.237. (Q) Am I an old or a young soul in evolutionary growth?